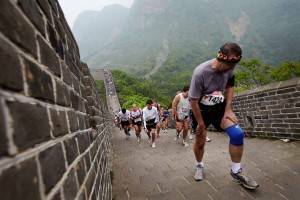 Take a trip through living history by running a marathon along the Great Wall of China! 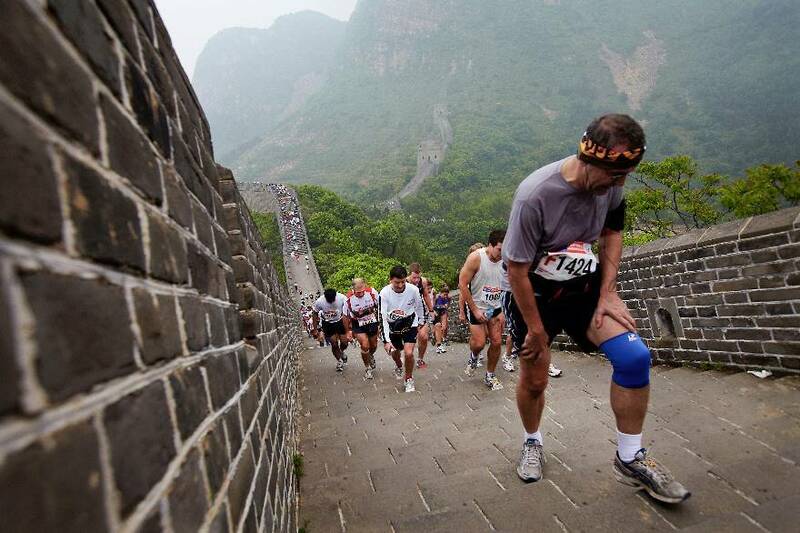 The Great Wall Marathon started in 1998 and has been run every year along the Great wall of China since. 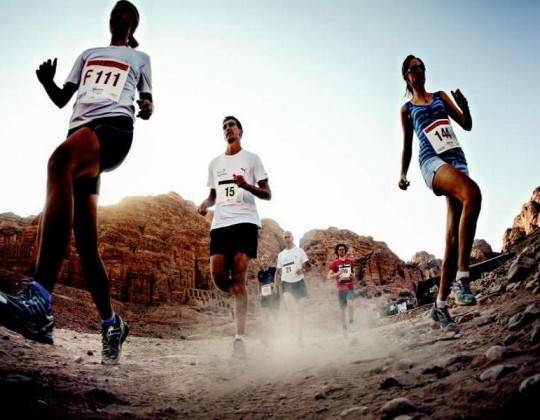 Sports Tours International offers guaranteed entry to this event and a choice of which of the three events you would like to compete in, the marathon, half marathon or 8.5k fun run. We also offer a choice of hotels, and optional (very worthwhile) sightseeing tours. 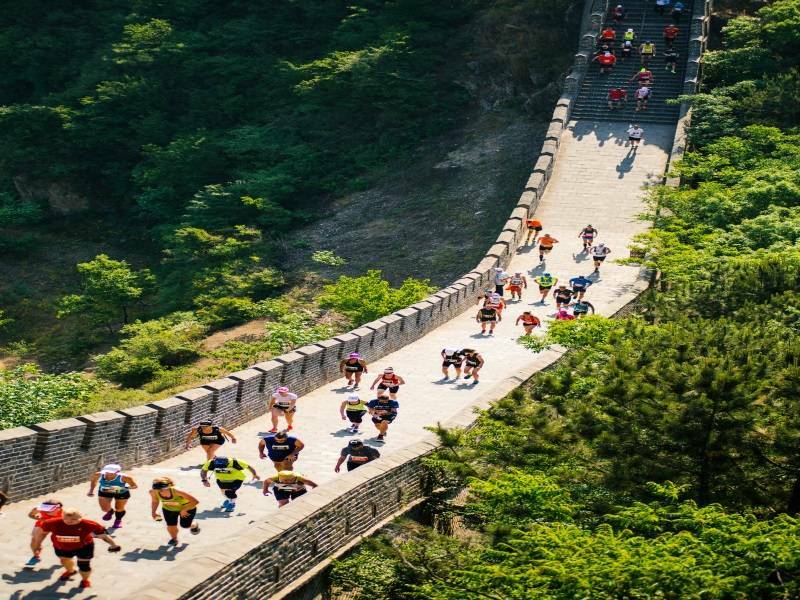 The Great Wall marathon takes place on a highly varied course including the narrow “goat trail”, small villages and, of course, the great wall of China itself with sharp uphill and downhill sections. 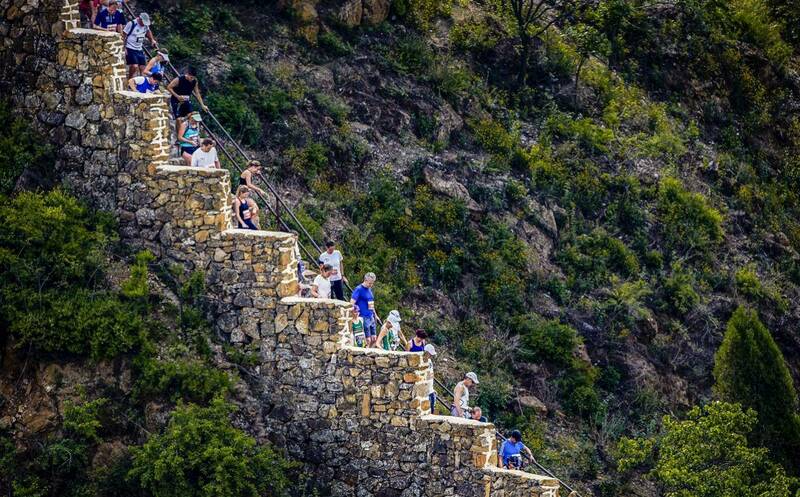 5,164 steps await you on the Great Wall! 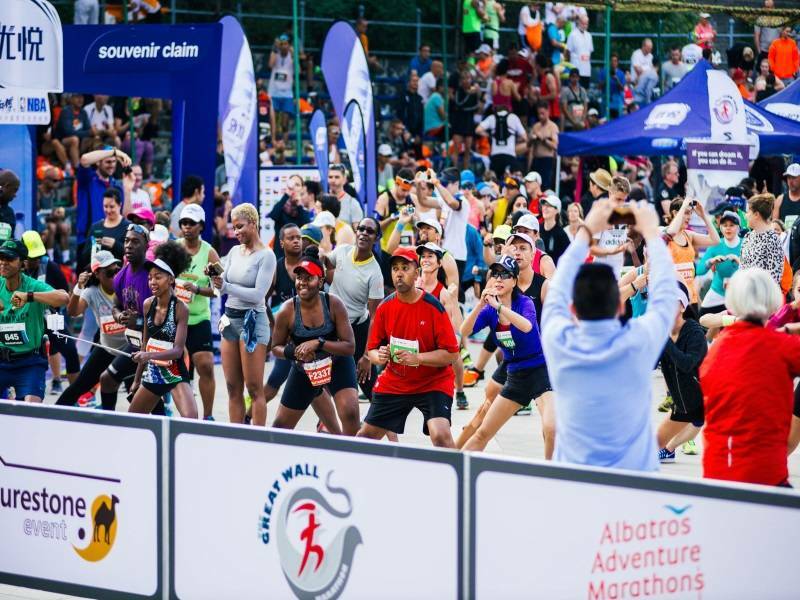 Although this is certainly an official marathon and your time will be tracked with a bib and chip system, there are no prizes on offer and the spirit of the event is in facing up to and completing the challenge. 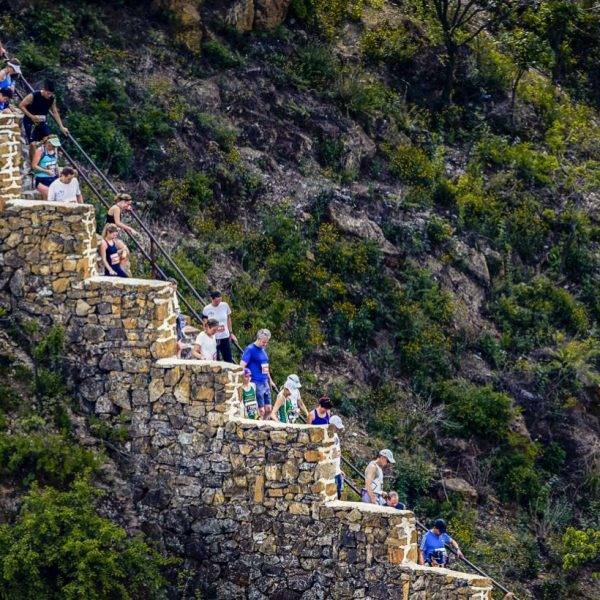 With a variety of optional day trips, you can combine this fantastic marathon with amazing sightseeing expeditions. 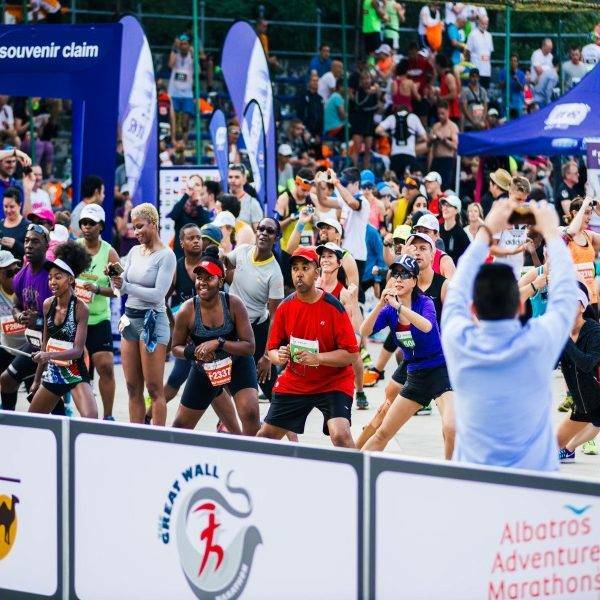 Included within your package is the option of a marathon entry, half marathon entry or 8.5km fun run. Spectators are also welcome. Additional sightseeing trips – for further information and prices, please see the bottom of the itinerary page. 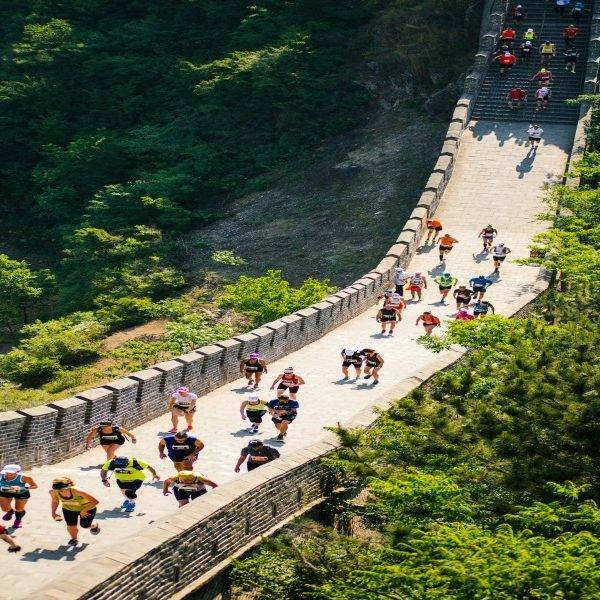 Each of the three options available (marathon, half marathon or 8.5km fun run) will run on the same section of the Great Wall, the main differences between the routes are off the wall. 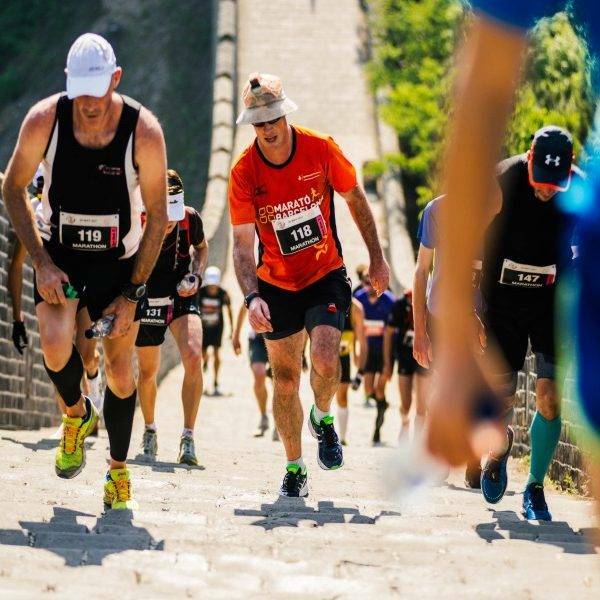 The race starts in Huanyaguan fortress before a 4km climb, uphill all the way, to the great wall. 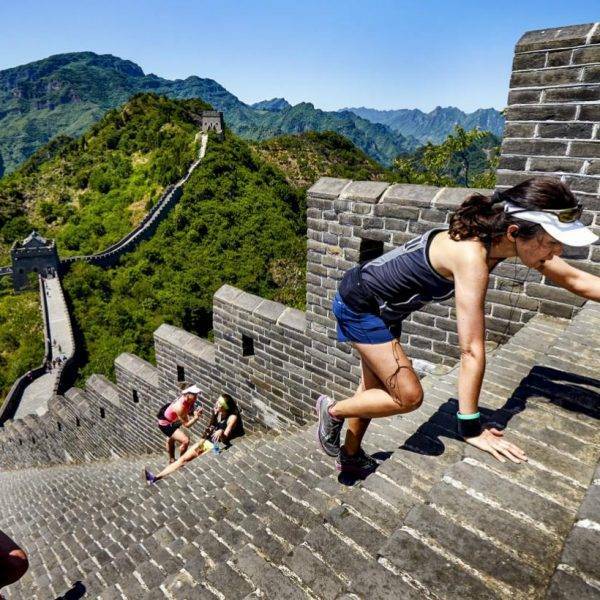 After 5 more kilometres you will reach the first sets of steps and will run 4km of the great wall and fortress walls, the wall has many steep uphill and downhill sets of steps. 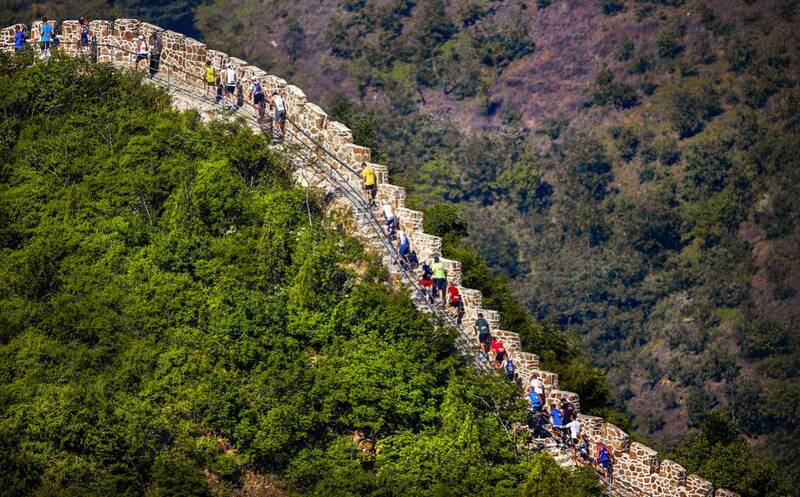 Marathon and half marathon runners will continue beyond the wall to Duanzhuang. 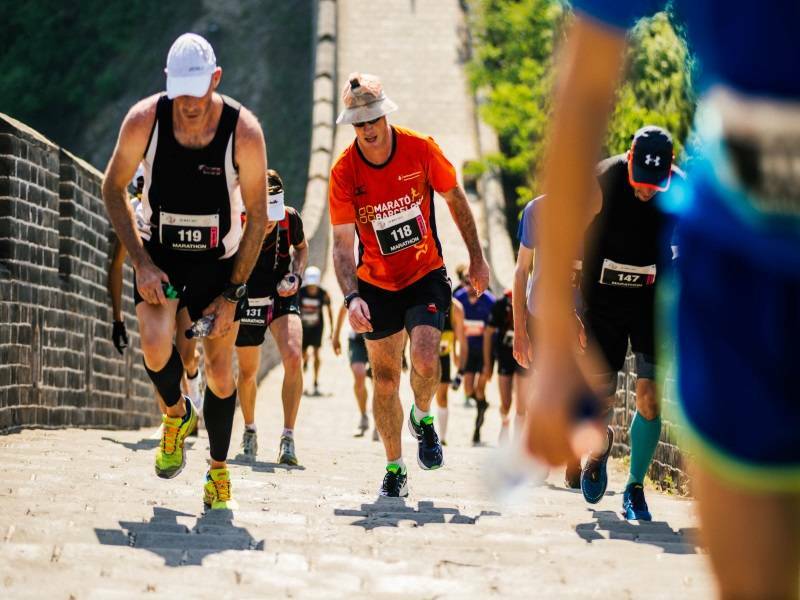 Marathon runners will then loop around Xiaying and head back towards the Great Wall again before heading back to the Yin Yang square for the finish. Arrival in Beijing (by your own means). Airport transfers are included in your package and you will be met upon your arrival into Beijing. There may be a wait of upto 1 hour for your transfer. Please provide your flight arrival and departure information, once your booking has been confirmed. After checking in, please see the notice boards for further information which will include your tour guides name and telephone number. 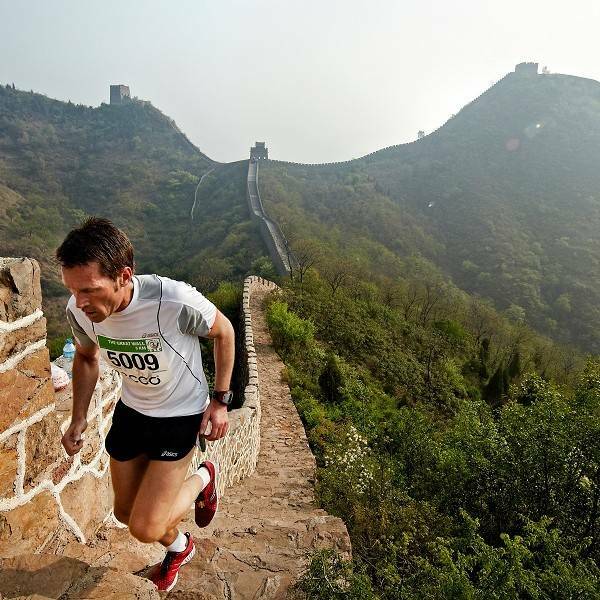 Today you will be joining other runners to inspect the Great wall course. After the inspection you will be checking in to the hotel in Jixian for the night. The rest of the afternoon will be free for you to enjoy Jixian. 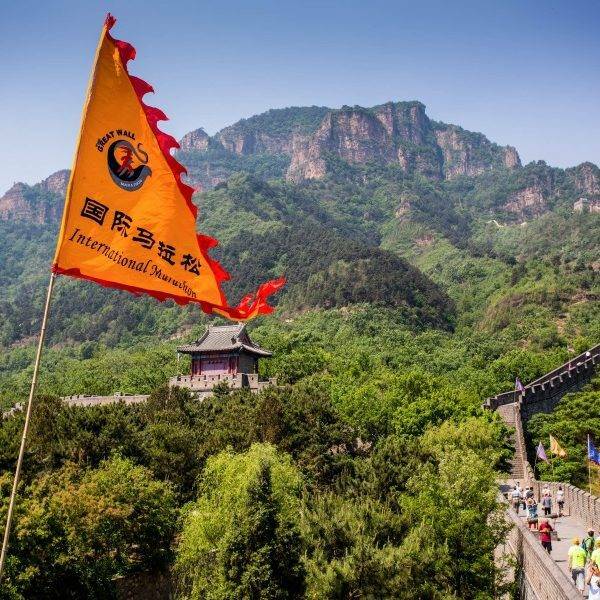 This will be your day to have fun and explore Jixian, one of the smaller, sleepier Chinese towns, contrasting with the hectic bustle of Beijing. 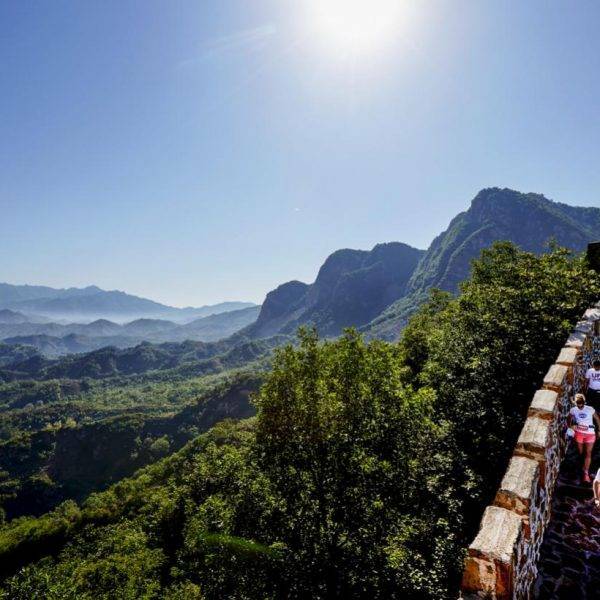 We offer an optional tour to explore rural China and the tombs of the Qing with a traditional Chinese lunch included. Dinner will be provided with lots of extra rice and noodles to get you ready for the race tomorrow. We will start with a visit to the outdoor market of Jixian. 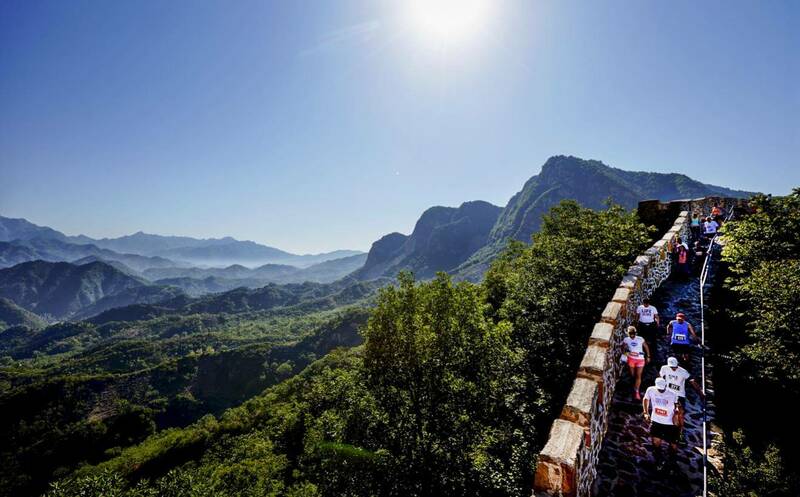 Jixian is not a heavily touristic Chinese town and the market there provides a window into everyday rural Chinese life, as well as displaying the myriad of business areas that have opened up in China recently. After the market we will head over to the Qing tombs nearby. The Jinxian Qing tombs consist of one of the largest tomb complexes in China. Xiaoling is by far the biggest and most elaborate of the tombs, forming the focal point of the complex, it is the resting place of the Shunxi emperor, who destroyed the collapsing Ming and established the Manchu Qing dynasty. 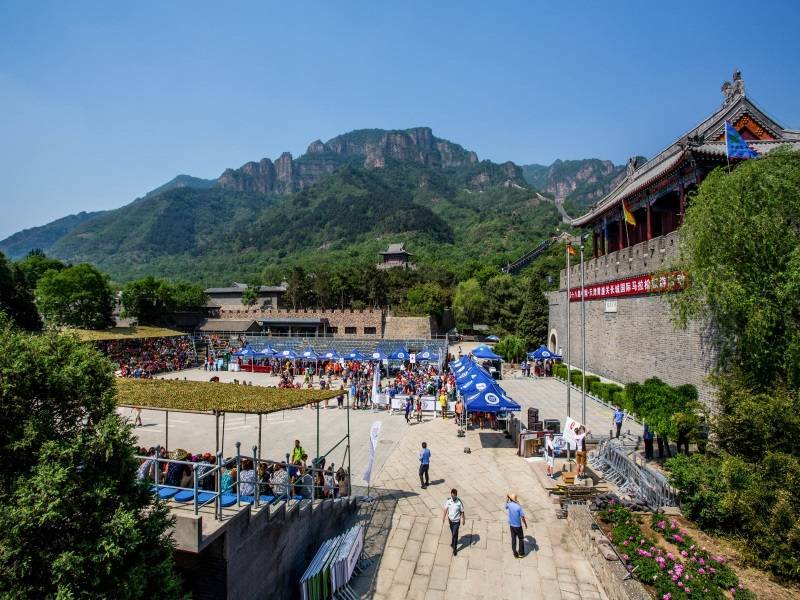 Day of the 2019 Great Wall marathon. 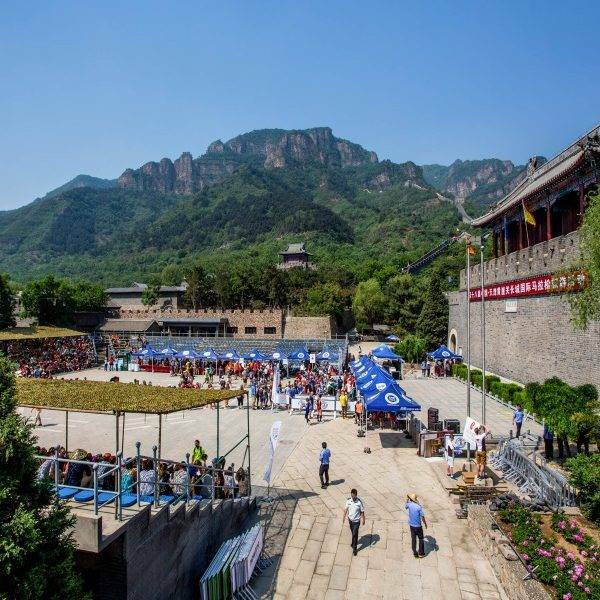 After an early breakfast, you will leave Jixian at 05.20am and head to Huangyaguan for the 07.30am start of the marathon. The early start is to avoid the daytime heat and humidity. 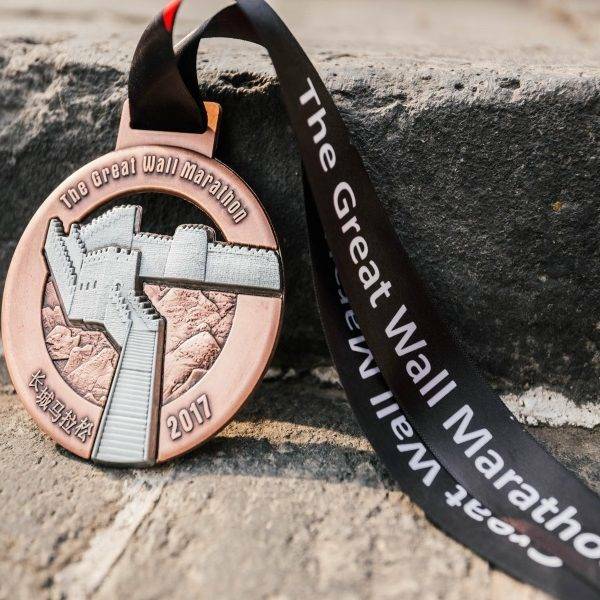 A sandwich lunch will be provided after you have finished the marathon, with transfers back to Beijing between 12pm and 4.30pm. You will also be able to have a massage on site after the marathon. 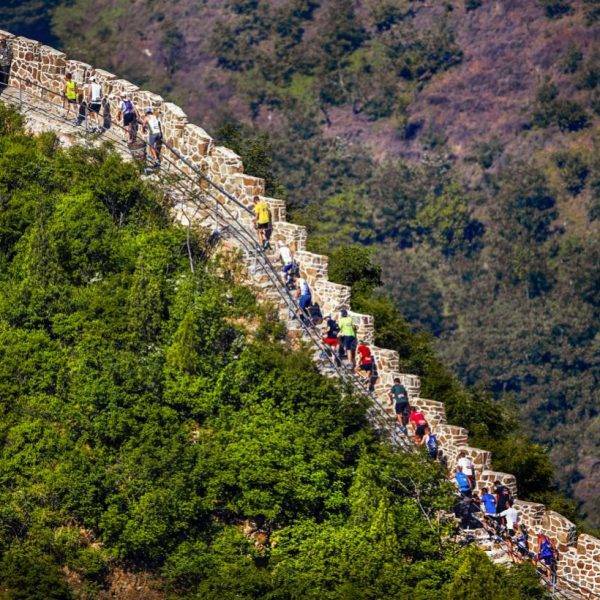 Day of leisure and rest in Beijing, you will have the choice of two optional trips around Beijing, City of Emperors and City of people. Please see the details tab for further information on the optional extra trip. 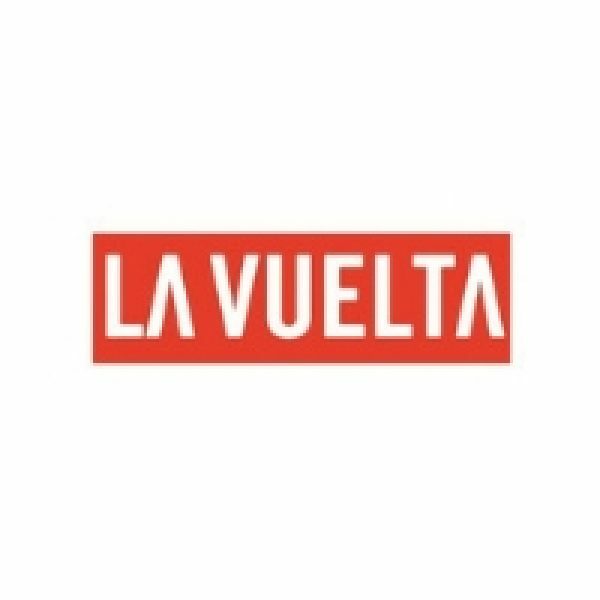 At 6.30pm all runners and spectators will be picked up from hotels and taken to a banquet hall to celebrate yesterdays marathon. Buses back to the hotels will be between 9.30pm and 10pm. Beijing has served as the capital for 5 dynasties over a period of 800 years. Each emperor was proclaimed to be a dragon sent from heaven. We begin our tour with a stop at Tian An Men Square, the largest public plaza in the world. Located in the heart of modern Beijing, Tian An Men was first built during the Ming Dynasty. Covering an area of 44 hectares, the enormous square is the main entrance to the Forbidden City. From there we continue north through The Forbidden City. This magnificent complex with its many palaces and halls is the largest imperial palace ever built in the world, featuring more than 800 buildings with over 9,000 rooms, resplendent golden-glazed roofs, red lacquered pillars and vermilion walls. Most of the morning will be spent exploring the Forbidden City. At lunch you will enjoy an outstanding dish of authentic roasted Beijing Duck. 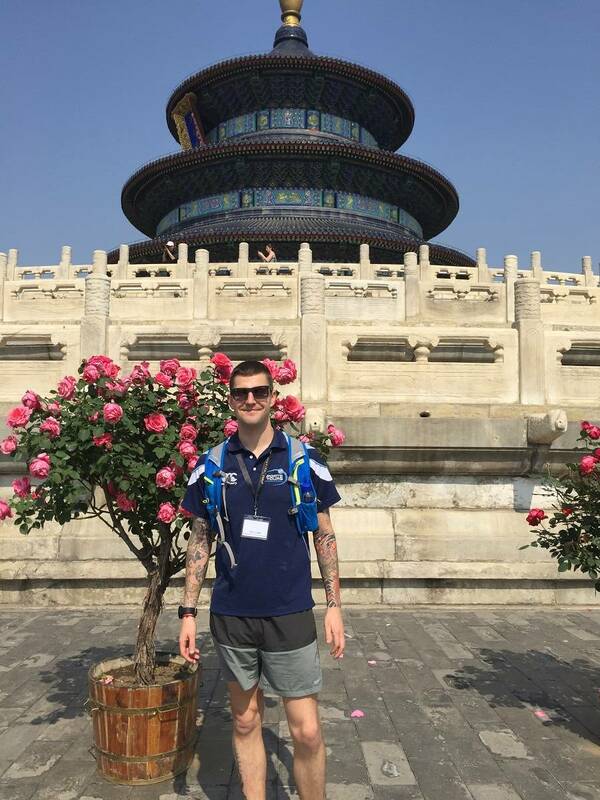 After lunch, the sightseeing continues at the beautiful Temple of Heaven in the southern part of Beijing. This was the place where the emperors of the Ming and Qing dynasties worshipped heaven and prayed for abundant harvests. The complex consists of the 125 feet (38 meter high) Hall of Prayer for Bounteous Harvests, the Imperial Vault of Heaven with a gilded cupola, the three-tier Circular Altar, Echo Wall and the Thrice-Echoing Stone. Occupying an area of 270 hectares makes this the largest temple and altar complex in China. Tour starts from your Hotel lobby at around 8:30am, exact times will need be provided by your tour guide. 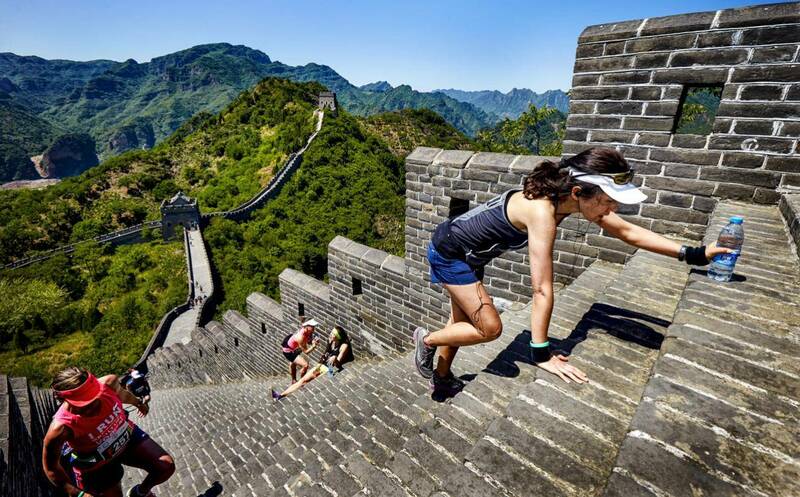 This tour will start from one of the Great wall marathon hotels at around 8:30 am, exact instructions and meeting points will be provided by your tour guide. We will start with a visit to Beijing zoo to observe the best selection of Giant pandas in captivity. We will then drive over to the Beijing Summer Palace, a beautiful collection of buildings situated around a large lake, the site was first constructed by the Jurchen Jin dynasty and since then each Chinese dynasty has modified the complex, making this site a microcosm of Imperial Chinese architecture throughout history. After exploring the summer palace we will be visiting a nearby Pearl exhibition hall and during our return, the Beijing Olympic village and birds nest. Departure day! 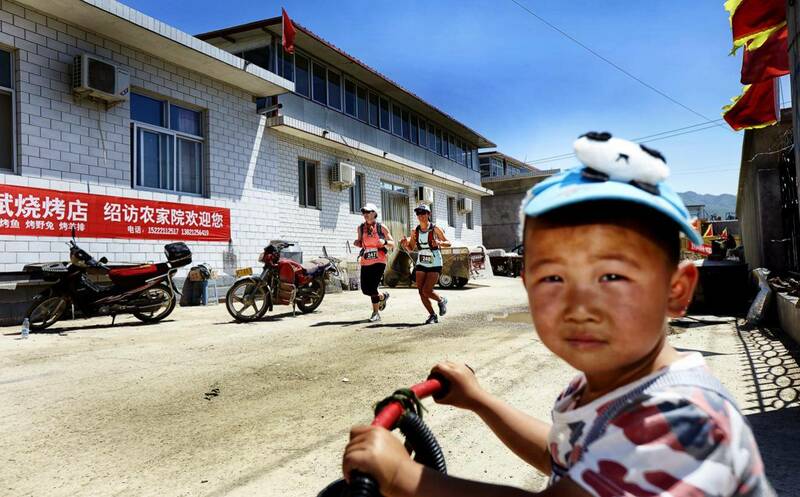 Pack up your running gear for your return transfer back to Beijing airport. Hotel check out is 12pm. Flights are by your own arrangements. Today you will explore Beijing with your guide (included in your package price), visiting Ti An Men square, spending the morning in and around the Forbidden city. Lunch will consist of an authentic Peking duck. After lunch we will move to the more southern areas of Beijing and explore the Temple of Heaven. The afternoon will finish with a visit to the silk hall, including a chance to look at the manufacture of genuine silk, silk products will also be available for purchase. Tour starts from the restaurant where you have dinner at around 19:00 pm, exact time follow the instruction of your tour guide. Today we will be inspecting the Great Wall Marathon course. 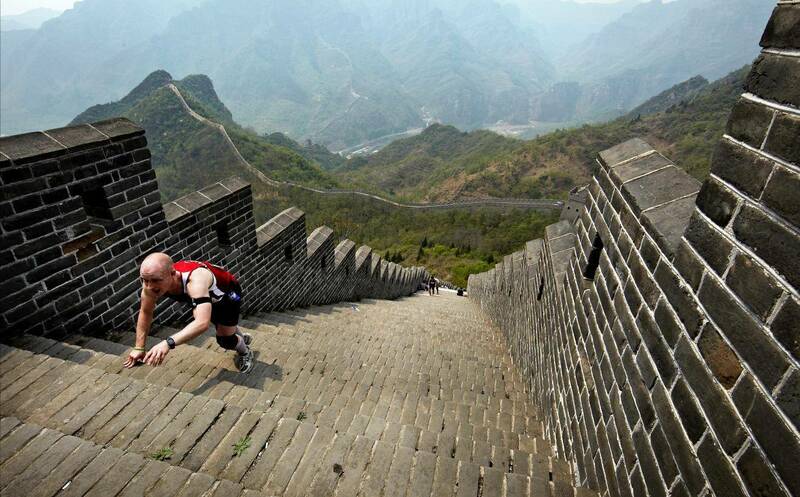 Each runner is required to walk 3.5 KM of the Great wall that you will soon be running. You will leave your hotel in Beijing at 6:45am (a breakfast box will be provided) in order to make good progress. 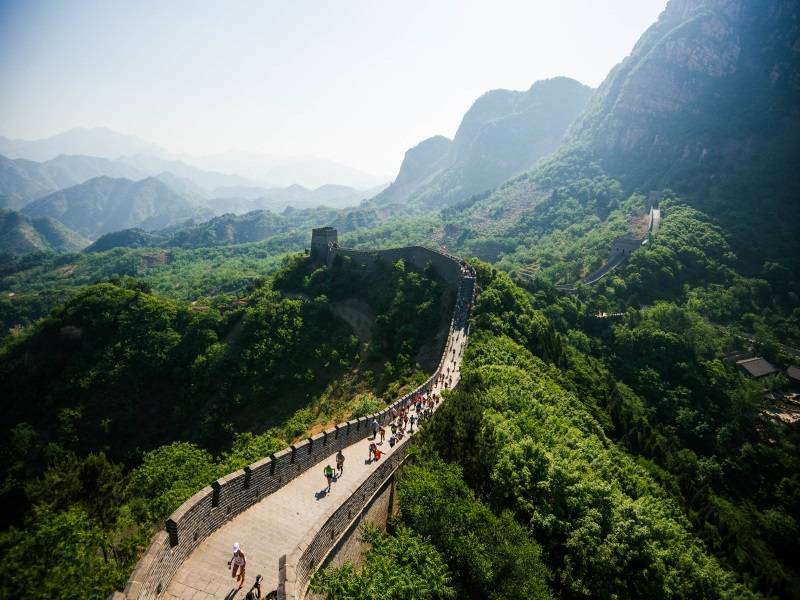 Lunch will be provided after your breathtaking walk before we return to Beijing. Today will be another day of sight seeing around Beijing (included in your package), visiting a Cloisonne factory, some of the tombs of the Ming dynasty and the Sacred Road. Day of the marathon. 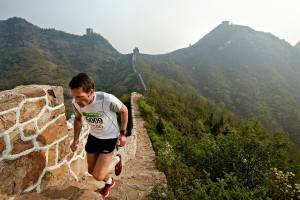 After an early breakfast, you will leave Beijing at 03.30am and head to Huangyaguan for the 07.30am start of the marathon. The early start is to avoid the daytime heat and humidity. A sandwich lunch will be provided after you have finished the marathon, with transfers back to Beijing between 12pm and 4.30pm. 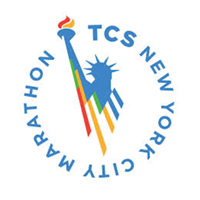 You will also be able to have a massage on site after the marathon. 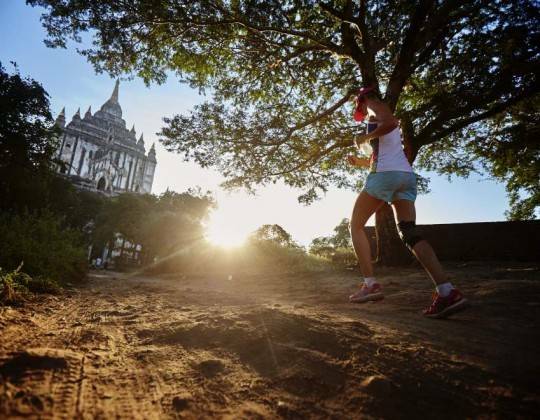 Today is a day for a slower pace, and something of a relaxation after your marathon. 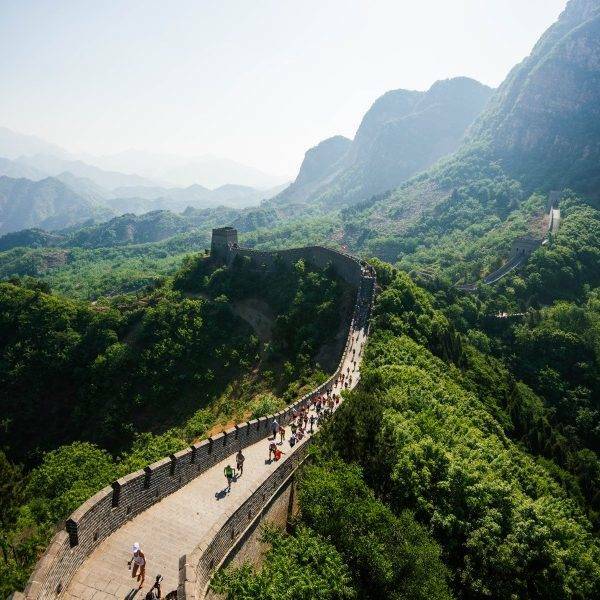 Explore Beijing at your leisure, or book an optional sightseeing tour – City of People including The Summer Palace, Pearl Exhibition, Giant Panda including lunch. Or take in anything interesting that you haven’t visited yet. 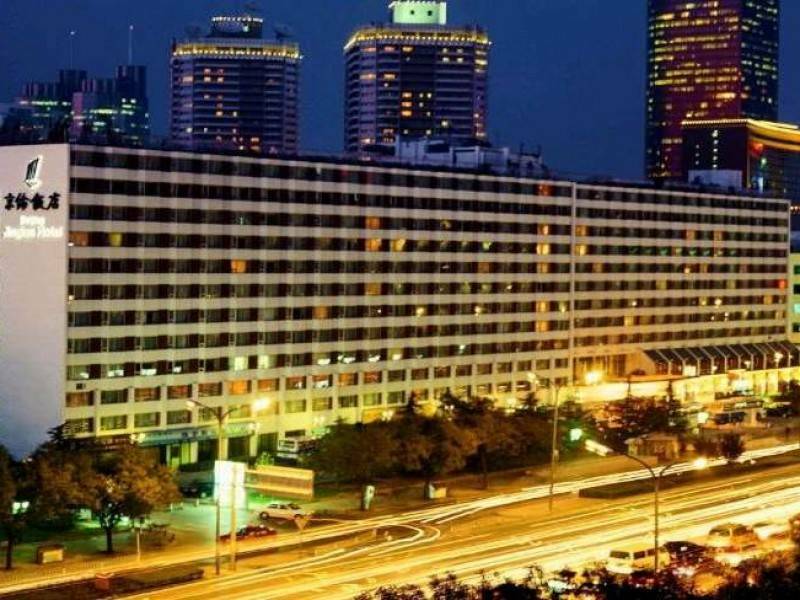 Just remember to make sure you are at the hotel at 18:30 to be picked up and taken to the celebration banquet and for those who would prefer not to spend the night in bed, the nightlife of Beijing awaits. Please see the details tab for further information on the optional extra trip. 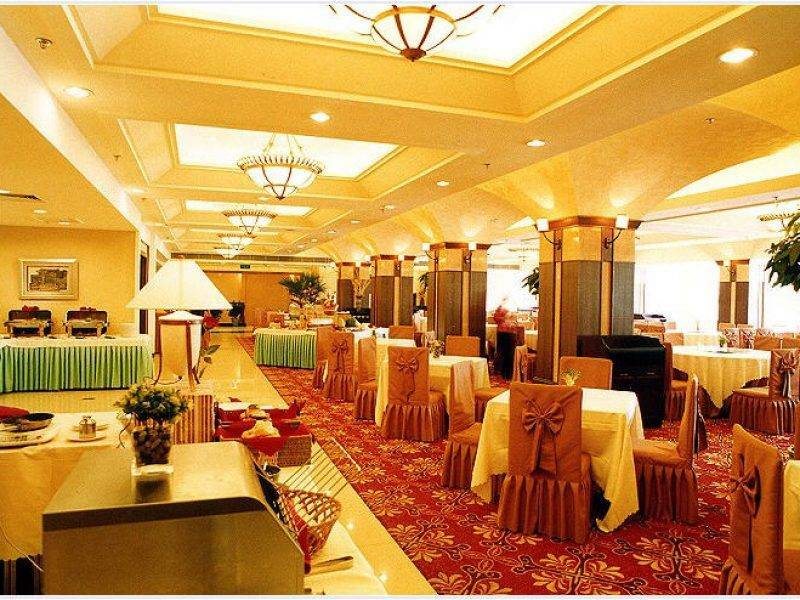 The 4 star Jinglun Hotel is a 10-minute drive from Beijing Railway Station and Tian’anmen Square. Capital International Airport is a 30-minute car journey away. 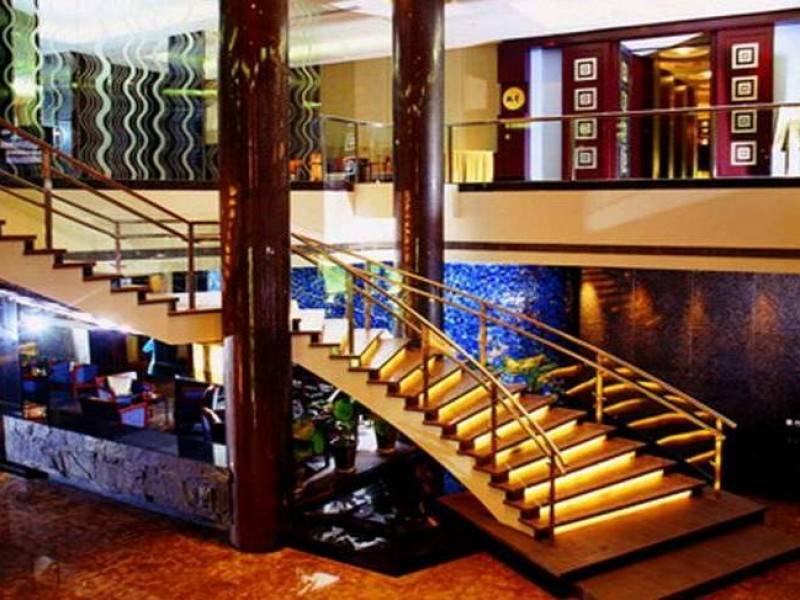 The hotel has a spa and wellness centre, an indoor pool and gourmet cuisine across 4 stylish restaurants. Tastefully decorated, the elegant guestrooms feature warm lighting and modern interiors. Each well-appointed unit is fitted with wired internet access, a flat-screen satellite TV, coffee machine and safety deposit box. Bathrobes and free toiletries are stocked in the attached bathrooms. Guests can stay fit with a workout in the fitness centre or relax in the hot tub, especially after the marathon. Tao Li Chinese restaurant serves a fine selection of local dishes, while Japanese flavours are available at Maya Tapanyaki. Chinese snacks and coffee can be found at Si He Xuan and Tai Fei Garden. 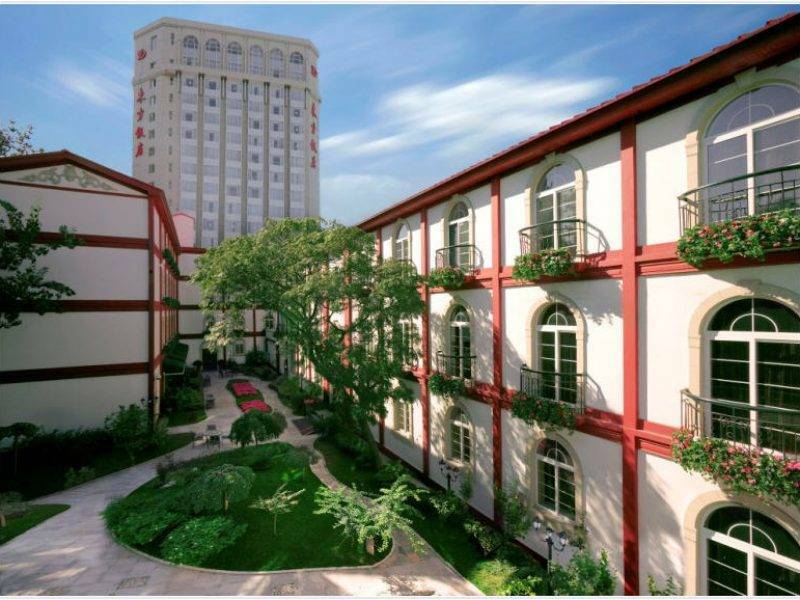 The Dongfang Hotel Beijing is a 25-minute drive from Tiananmen Square and the Forbidden City, ideal for sightseeing whilst in Beijing. 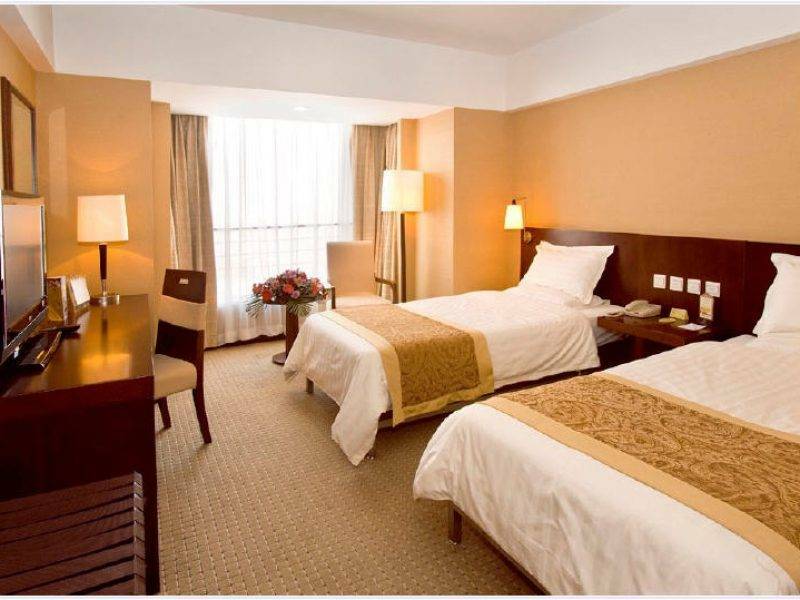 The hotel is 100 yards from Hufangqiao Subway Station (line 7), a 10-minute walk from Qianmen Streetand a 5-minute drive from Beijing SOGO Department Store or Xidan Commercial Street. It is located 2.2 miles from Beijing Railway Station and 20.5 miles from Beijing International Airport. 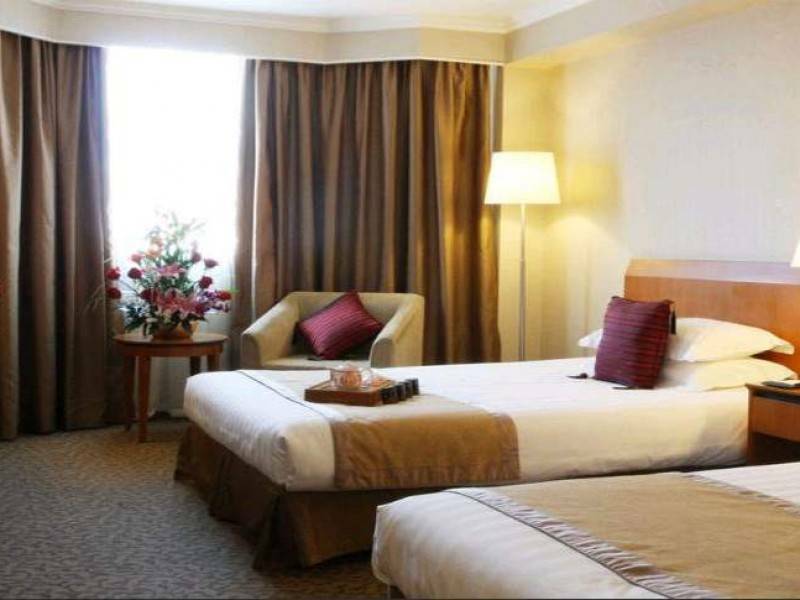 The hotel offers free WiFi is accessible in all areas and air-conditioned bedrooms are fitted with a work desk, tea/coffee making facilities and a TV with cable channels. The en suite bathroom has bathroom amenities and a hairdryer. The hotel’s Coffee Shop serves an international buffet and guests can relax in the European-style garden. Your passport should be valid for at least 6 months from the date of your visa application. 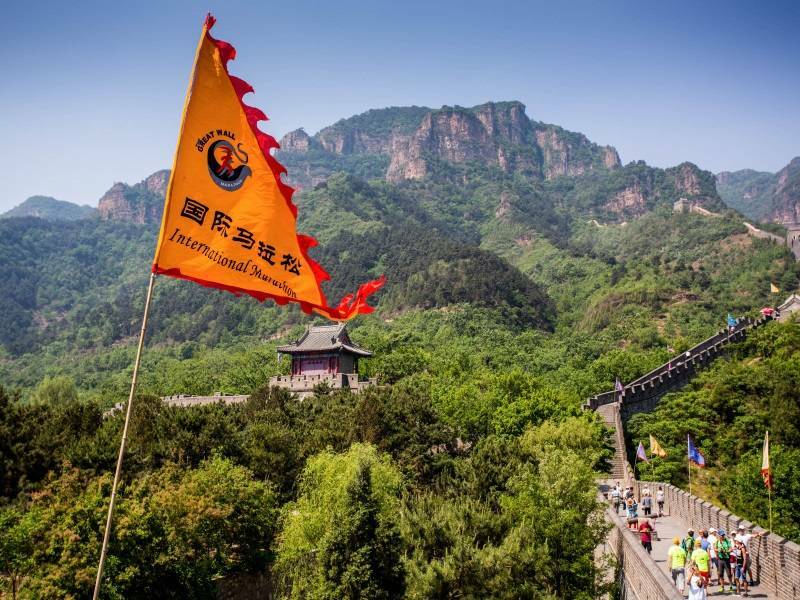 If you have less than 6 months’ validity on your passport, but have a valid visa, you should be able to enter China for the duration of that visa. British nationals require a visa to enter mainland China, but not Hong Kong or Macao. For mainland China, you must get a visa prior to arrival, including for Hainan Island. For details of entry requirements to China contact the nearest Chinese Embassy or Consulate in good time before your proposed trip. Check your visa validity carefully. Don’t overstay your visa or work illegally. The authorities conduct regular checks and you may be fined or detained for not complying with the conditions of your visa or work permit. 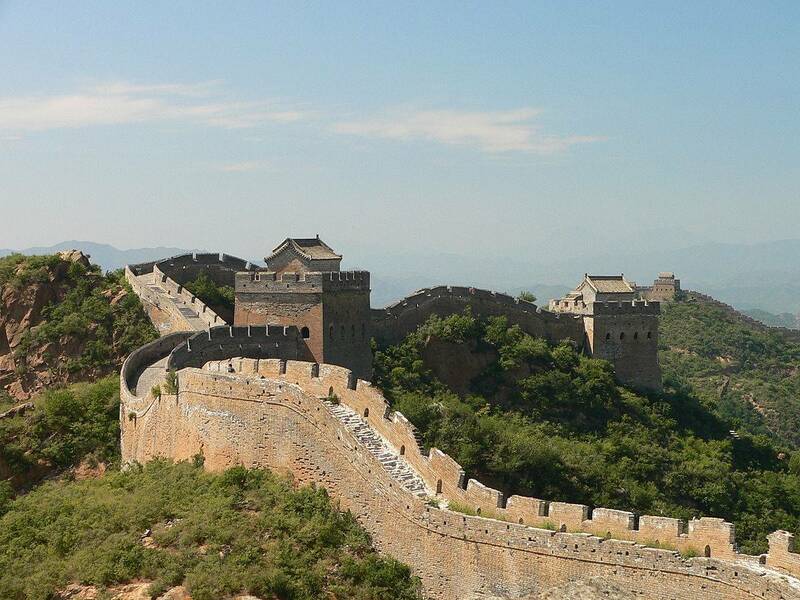 If you remain in China longer than 6 months, you may need to get a Residence Permit. The Foreign & Commonwealth Office (FCO) issues travel advice on destinations, which includes information on passports, visas, health, safety and security and more. For all information relating to China, please click HERE. There is additional information about our Concierge Services on our special web page. 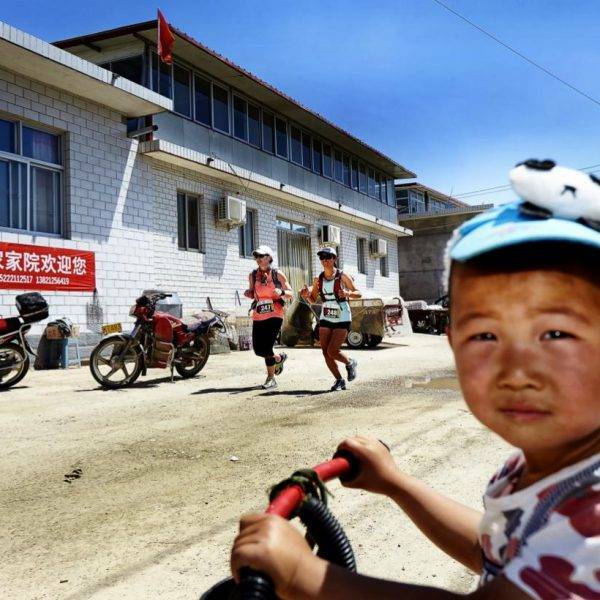 Concerning medical risks – all active participants must declare that they are in good health and have their own insurance that covers their stay in China. 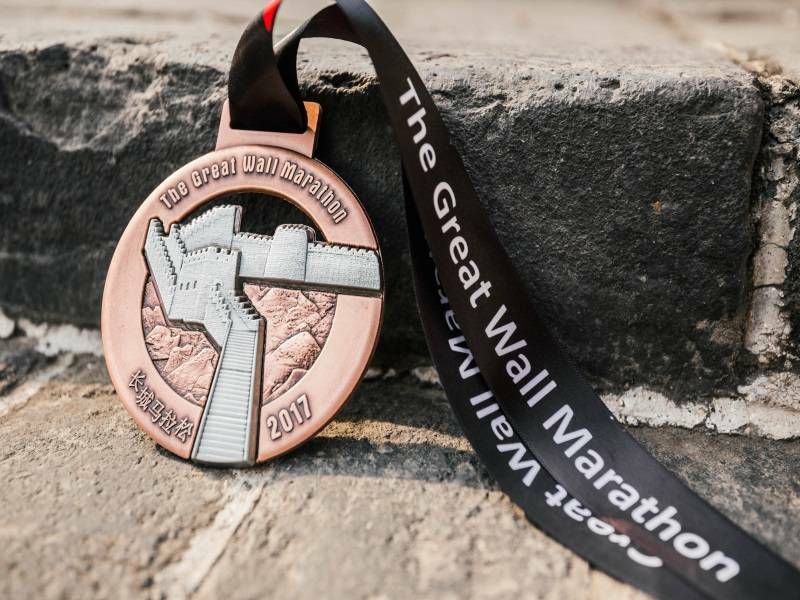 The Great Wall Marathon brings its own team of specialized physicians and nurses to assure that every injured participant receives suitable treatment.